Cute Puppy Pic Friday – Finally Grown Up But Still Goofy | KeaNeato! Gem is over a year & a half old now, so I think I’m about out of puppy pics. 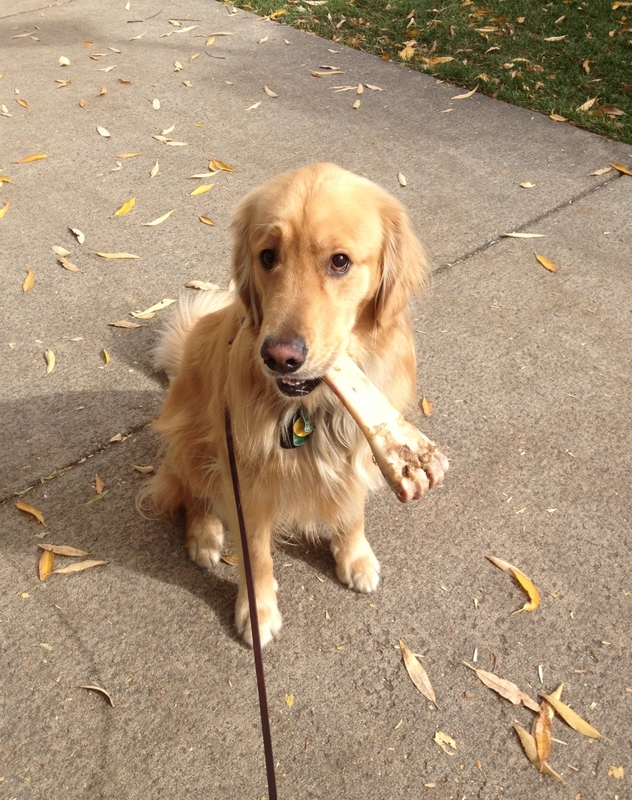 Here he is halfway through a 3/4-mile walk with his bone — he carried it the whole way. Goofy doesn’t stop with puppyhood. This entry was posted in Cute Puppy Pic, dogs, POD (picture of the day) and tagged golden retriever, photography. Bookmark the permalink.